The original Vespa horn had a distinctive shape. 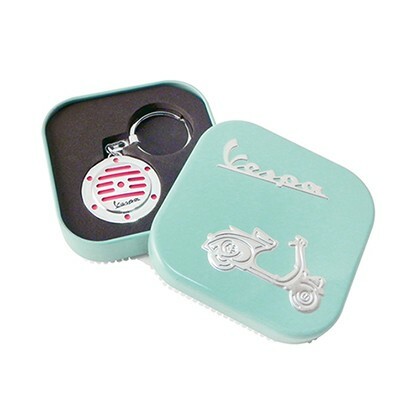 This keyring, made of metal has the same distinctive look for the classic Vespa lover and comes in a tin Vespa branded box. 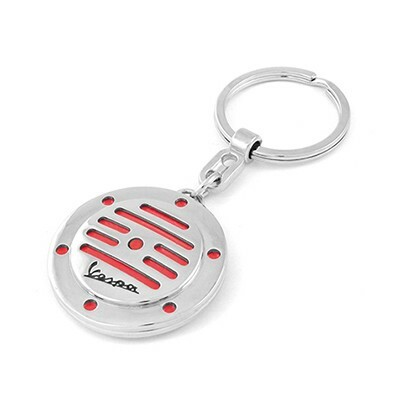 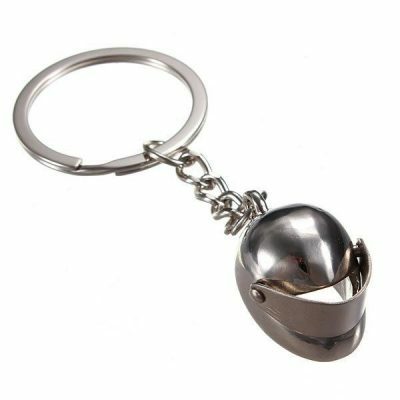 Vespa metal keyring in the shape of the original Vespa Horn packaged in a Vespa tin box.